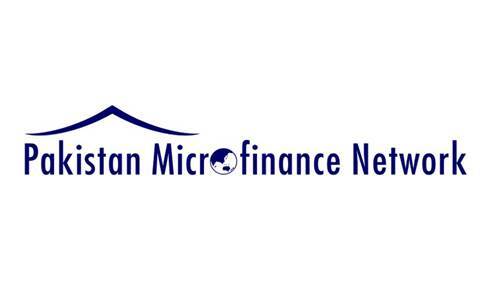 The Pakistan Microfinance Network (PMN) in an event unveiled the “Pakistan Microfinance Review (PMR) 2016” at a local hotel in Karachi. PMR is an annual state of the microfinance sector report based on financial and social performance analysis of microfinance providers. The initiative is supported by UKAID’s Department for International Development (DFID). The outreach of microfinance continued to grow at a double-digit rate during 2016 with notable expansion in deposit base, the report said. Due to this sustained growth, the sector is now viewed a key pillar in furthering the financial inclusion agenda in the country. The event was well-attended by representatives from the State Bank of Pakistan, DFID, Pakistan Microfinance Investment Company (PMIC), Commercial Banks, Digital Finance players, PMN members (Microfinance Banks, Microfinance Institutions, Rural Support Program) and other stakeholders. Syed Mohsin Ahmed, CEO PMN, gave an overview of the microfinance landscape in the country highlighting key developments of the sector and outlined the current and future challenges facing the industry. Syed Nadeem Hussain, Chairman PMN & Coach Planet N, emphasized on the importance of leveraging digital tech to realize Microfinance sector growth objectives. With the incremental capital that PMIC has lined up, it can finance the sector up to PKR 200 Billion, over 50% of projected sectoral requirements, Mr. Zubyr Soomro, Chairman PMIC said. During a panel discussion chaired by Mr. Ghalib Nishtar, CEO Khushhali Bank, the participants deliberated on key developments such as enabling policy environment to realize growth objectives, growing international investors’ interest in the sector, impact of digitization, and responsible finance initiatives.